One of my favorite brands from the drugstore is Wet n Wild. Not only do they have an amazing Fergie Center Stage line with a bunch of beautiful, bright colors, but they also recently (as in probably a year ago) released a few new things in the line called Cover All. Last Summer I did a first impressions video on the foundation & the powder - it was one of my first videos! But about a week ago I found more of the line in my Kmart - I found the foundation in the shade fair and their liquid concealer. I'm slowly realizing that Kmart is a really great place to find drugstore make up that you either can't find or didn't know existed. I also found the LA Girl Glazed Lip Paints there & only bought 3...I'm trying to keep from going back for the rest! 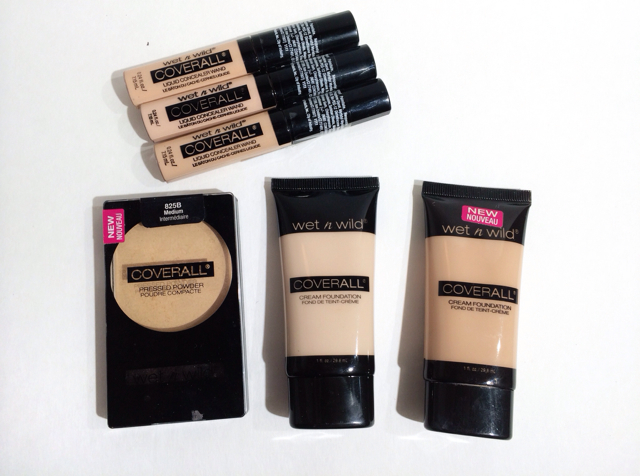 Anyway, today I wanted to to a review of these products from the Wet n Wild CoverAll Line because I think they are great for the price! CoverAll Creme Foundation - I did a whole video on this foundation here (including the pressed powder) but I have to say I was fairly impressed with the coverage of this. When I bought it I didn't think I'd be that impressed with it. I thought a $3.99 foundation wouldn't blow my socks off, but this one did. The foundation is rather creamy & won't drip from the tube but it isn't too thick that you can't blend it out nicely with a sponge. 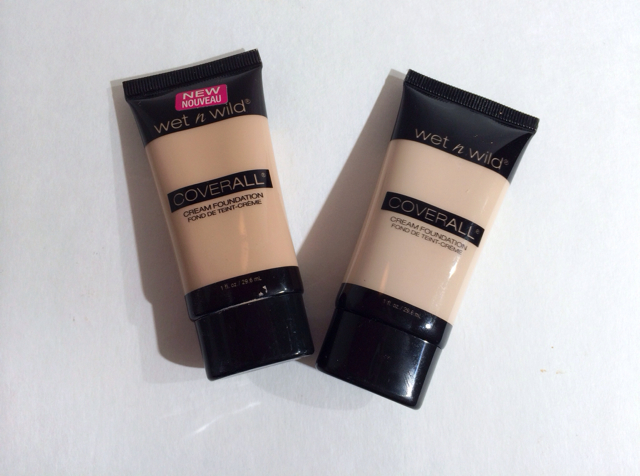 The coverage is pretty impressive and I would say that this give medium-to-full coverage and is buildable. The color selection is rather limited and until recently, I didn't know that the shade fair was an option. I first got this foundation in fair/light and it was a little too dark for me...and not a shade I would consider to be fairl/light! I'd actually call it medium! 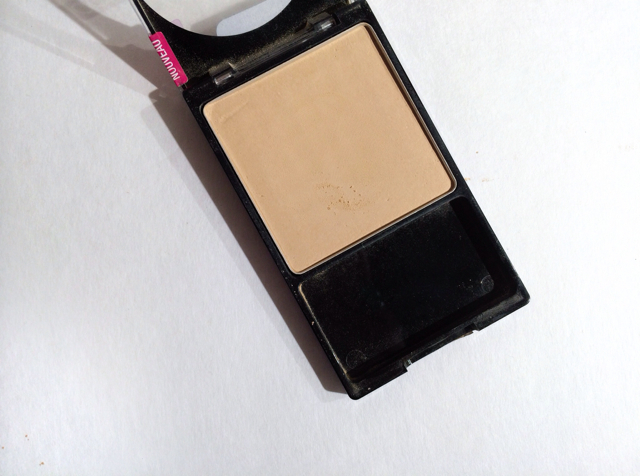 CoverAll Pressed Powder - This powder comes with a sponge applicator, which you could use for a more targeted application but this powder I applied with a brush. First impression was that this powder is really drying. I could feel it being dry on my skin if that makes any sense. It applied evenly and gave a little bit more coverage. 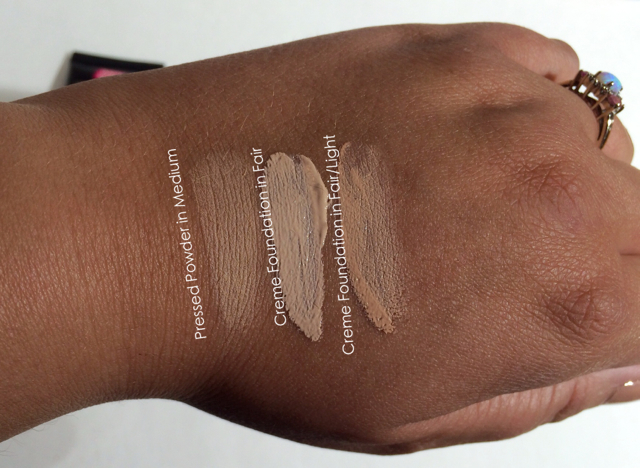 Being in the medium shade, it wasn't too dark - so the shades don't really match across products. 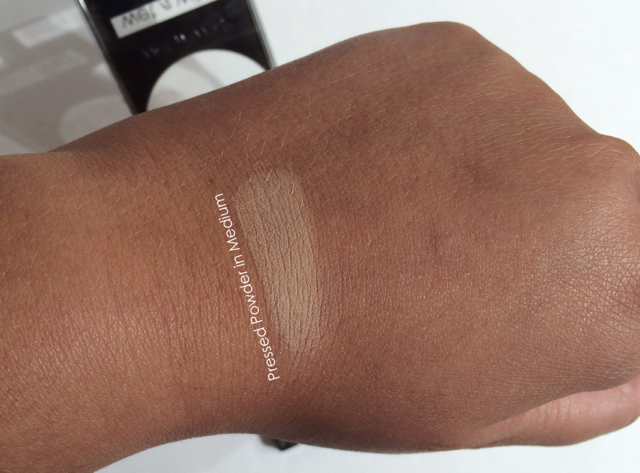 Application with a brush did not kick up too much powder & it blended nicely on to the skin. I tend to tap my pressed powder onto my skin rather than sweep or blend it that way my foundation isn't disturbed. The brush didn't apply too much in one area and it blended evenly. 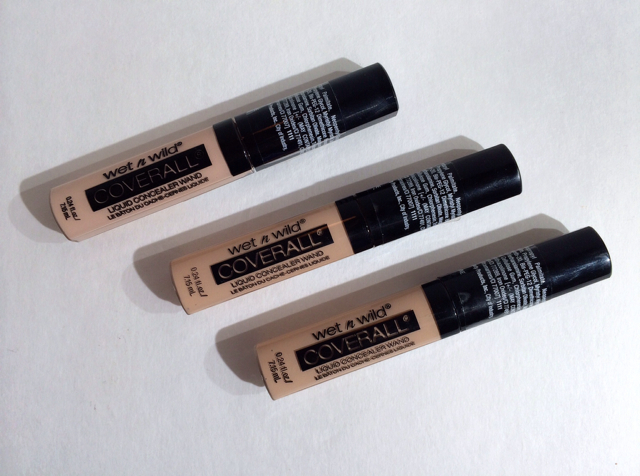 CoverAll Liquid Concealer Wand - While in Kmart I picked up three shades of this concealer - fair, fair/light, and beige. The naming is really weird & so are the numbers. I've only used the fair shade & find the consistency to be a bit unfamiliar. It is also hard to describe. While it comes out of the tube onto the applicator alright, the texture seems to be a bit thicker but also a bit drier. And not in a bad way. The texture lends well to blending & covering under the eyes. Maybe drier isn't the right term - it feels more airy, it's a light enough texture that it blends well under the eyes and doesn't cake or move around. 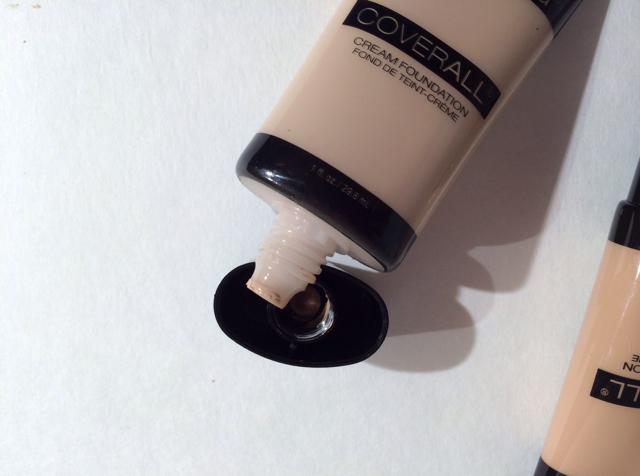 CoverAll Creme Foundation - For a $3.99 foundation this product wears pretty well, even on oily skin. I would say you would get probably 5-6 hours of good wear out of this foundation on oily skin. You will probalby get more if your skin is more normal or even leans a bit dry. I would go as far as to recommend this to dry skin because of how hydrating it feels - but its still not too much for oily skin. With that being said, I notice a significant breakdown in my t-zone during the day. It is nearly all gone from my nose at the end of the day and you will definately need to touch up. (I hardly touch up during the day, even if I need to!) Since the colors are a bit limiting, you may also need to mix two to get your right shade. I noticed when just wearing the fair shade this week it didn't quite match me going through the day - when it wore off my nose I could tell the difference in the color of my skin and the foundation. When wearing the fair/light shade I noticed a bit of oxidation....so thats a down fall. CoverAll Pressed Powder - I'm not quite sure if this pressed powser really compliments the foundation as much as it could. I found the powder to be great for my oily skin but not sure I would recommend setting this foundation if you have drier skin. I could feel how dry it was on my skin as soon as I put it on. It wears about as long as the foundation does & would be nice to bring to touch up as it would give you back the coverage that may have faded. If you only needed a little bit of coverage you could even use the powder as your foundation. The only downfall to using this as your touch up powder is that there is no mirror. The sponge it comes with give precise and targeted application which is great to use this as a powder foundation. CoverAll Liquid Concealer Wand - This concealer wears wonderfully under the eyes. I haven't noticed it creasing or fading away & the coverage is rather nice. It blends beautifully with a sponge - both the Beauty Blender & the Real Techniques Sponge are amazing to blend it out. The shade fair is great for me under the eyes and wonderful for highlighting. The different shades have different undertones so they can offer a little bit of color correction. 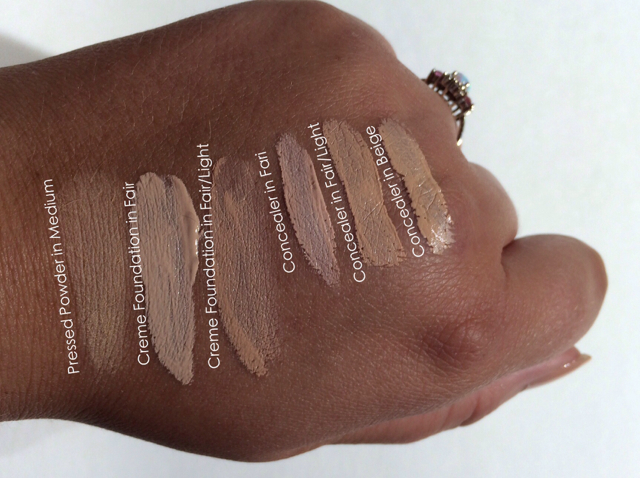 For a pretty affordable concealer you can grab up all the shades! 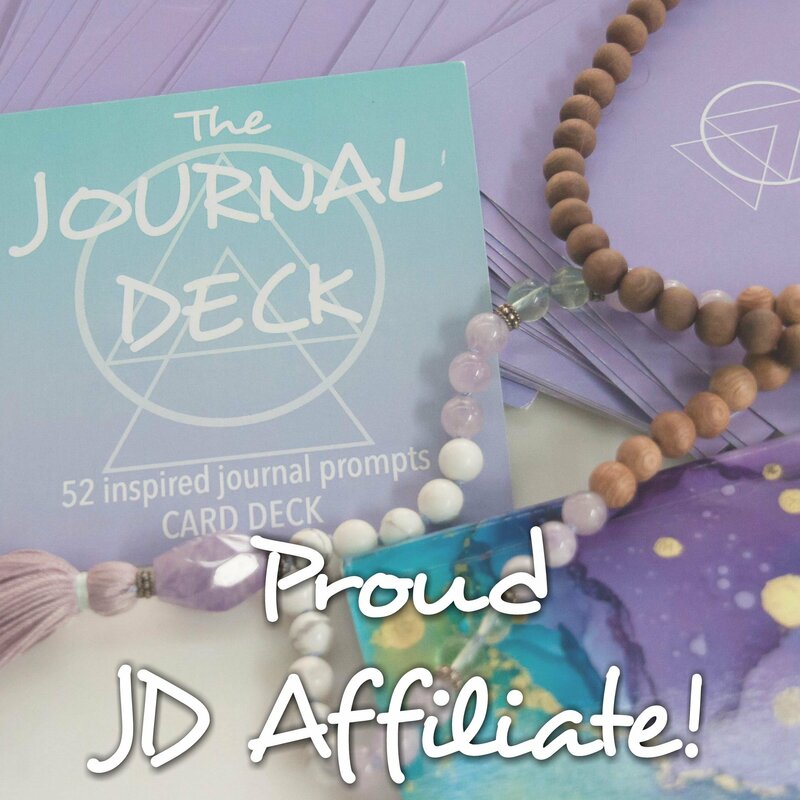 Overall I think these products from this line give you an affordable option if you're not trying to break the bank. I believe the foundation is great even for the $3.99 price! 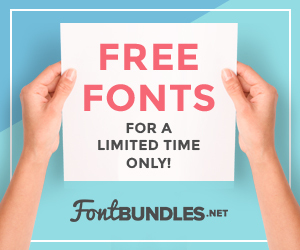 While the down fall is that the color selection is kinda crummy and the shades don't seem to match across the products I would really recommend giving these guys a go. 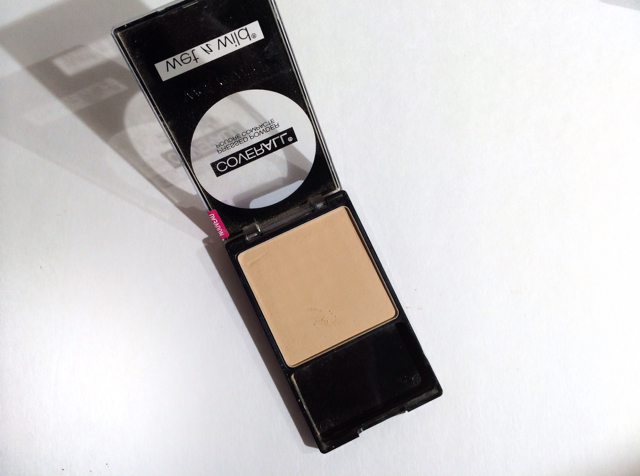 The concealer can stand on it's own & I would use it everyday - and currently am! 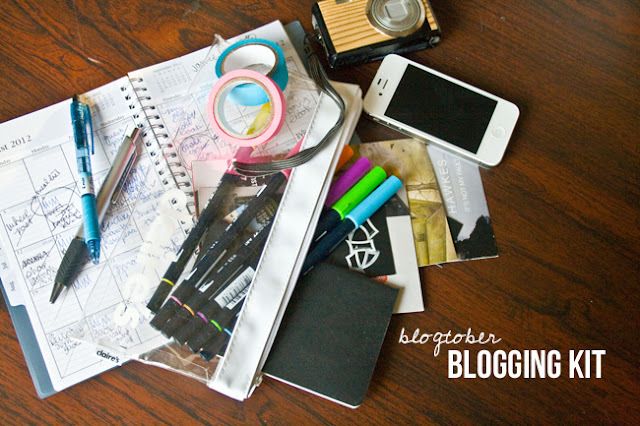 The foundation would be great for a short day out or for running errands. At one point I was looking for a more full coverage BB Cream just because I want something easy to wear - this fits the bill (though it doesn't have the benefits of SPF, ect) in that it's easy to wear. Because it lasts for a good amount of time I can wear it when I'm out shopping, etc and I don't have to waste my favorite foundations on short trips. I would also recommend this line if you're buy for a teen or the like who wants to start wearing make up. It is more full coverage if you have blemishes but its not so expensive. I think they would be rather satisfied with these products since they don't break the bank and are pretty impressive.